Anna-Marie Ryan has been enamoured with music ever since she was old enough to hum show tunes and plunk out melodies on a piano. These early explorations grew into a life-long passion, leading to eight years of piano studies with Ms. Nita Pelletier and over a dozen years of choral and solo singing. A love for theatre was sparked in high school, prompting Miss Anna-Marie to take to the stage in Singin’ in the Rain and Legally Blonde. In April of 2018, Miss Anna-Marie completed her B.A. in Music at Trinity Western University with a specialization in vocal performance. She studied voice with Dr. Caroline Harder and took conducting classes under the direction of Dr. Jon Thompson and Dr. Joel Tranquilla. During her two years working with Dr. Tranquilla as a Choral Teaching Assistant, Miss Anna-Marie discovered an enjoyment in leading choirs that rivals her love of singing in them. She looks forward to sharing her love of choral singing and directing with the students at FVAD! New York, performing at venues such as the Hong Kong University Grand Hall, Cathedral of Saint John the Divine, and Carnegie Hall. Miss Anna-Marie has sung with the BC Youth Choir at the BCCF’s 2016 and 2017 Chorfest, and has participated in the Vancouver Chamber Choir’s FOCUS! Program. In 2017, Miss Anna-Marie represented BC as the soprano section leader for the National Youth Choir during their Canada 150 special edition tour. 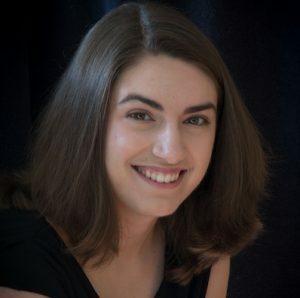 As a soloist with the TWU Choirs and NYC, Miss Anna-Marie has been featured in works by Canadian composers Robert Ingari, Timothy Corlis, and Jocelyn Morlock. Miss Anna-Marie has the honor of being the first ever Apprentice Singer with the Juno-nominated Canadian Chamber Choir. This national ensemble of professional level choral artists travels from sea to sea to promote Canadian music and build community through singing. For the next few years, Anna-Marie will be working as a private voice instructor, performer, amateur conductor, and music educator in the Lower Mainland and Fraser Valley. She intends to continue her studies at the graduate level, and hopes to pursue a career that combines her interests in teaching, performance, vocal pedagogy, and choral conducting.